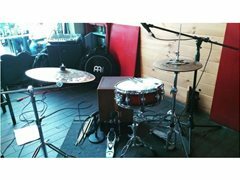 Drummer needed for new Blues Trio. Prefer seasoned applicants. Original music with covers. Weekly rehearsals on the GC. Must be able to dedicate and be reliable. Small basic kit required (as pictured). Immediate start.